Critical Infrastructure Protection and Resilience Americas (December 5-7, 2017; Titusville, FL) -- This two-track event looks at both physical infrastructure protection as well as information infrastructure protection. This event responds to the Presidential Policy Directive 21 (PPD-21): Critical Infrastructure Security and Resilience that advances a national policy to strengthen and maintain secure, functioning, and resilient critical infrastructure. It brings together leading stakeholders from industry, operators, agencies and governments to collaborate on securing North America. 2018 IPSA Conference (February 21-23, 2018; Tempe, AZ) - The public safety community comes together for this event to discuss education, training, policy and other issues impacting first responders and allied stakeholders This event looks at cybersecurity, civil unrest, first responder safety, and more. InfoSec World 2018 Conference and Expo (March 19-21, 2018; Lake Buena Vista, FL) -- This conference bills itself as the "business of security" conference. To manage today's threats, security practitioners--from entry-level admins to senior leadership--must have the skills to be both a business partner and business enabler,Â andthe technical skills to prevent, detect and respond to security challenges. Government speakers include representatives from HHS and the Federal Reserve Bank. 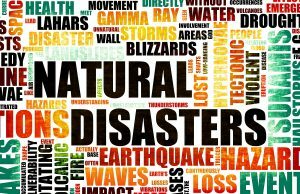 We'd love to hear your thoughts on the best events for disaster recovery information and planning. Share your thoughts in the comments. This entry was posted in Event News Articles and tagged Cyber Security, Disaster Recovery, disaster response, Infrastructure, public safety by Kerry Rea President of GovEvents. Bookmark the permalink.